Pokémon has evolved into the next game system. We went from Gameboy, Gameboy Color and Gameboy Advance, to the N64, Gamecube and Wii systems, to the DS and 3DS and now the next system is your own smartphone. With the recent release of Pokémon Go, you can go on your own Pokémon journey. You can walk around your own neighborhood and venture out into the world to find the original 151 Pokémon. They’re all going to available for you to capture. According to Gamespot, currently being discussed is how players are going to capture rare/legendary Pokémon and how they are going to get Pokémon from Gens 2-6 into the game. This may or may not have a big impact on how many people download the app. The die-hard fans who have been with the franchise all the way up to the upcoming Pokémon Sun and Moon are expected to download the app, so hopefully people who only like the Gen 1 Pokémon will come back to the franchise. Gamespot also says that a lot of the common activities you can do in the handheld games you will be able to do in Pokémon Go. You will be able to catch wild Pokémon, hatch Pokémon you get in eggs, and you’ll be able to battle gyms and buy items at what they call Poké-stops. Gyms function as multiplayer PvP battles. When you first download the game, you will have to choose from Team Red, Team Blue and Team Yellow. You will be able to train your Pokémon at your respective gyms and you can battle for supremacy at other gyms: Knock down the other gym’s prestige level low enough and you’ll be able to take over their gyms, but you still need to find the gym’s location first. Every Pokemon caught comes with one Evolution Shard and requires a specific number of them to evolve. For example, to evolve Pikachu to Raichu, you will need to catch 15 more Pikachus in order to collect 15 more Evolution Shards. Despite the app’s revolutionary game play, the beta had some flaws that need to be addressed to make the app’s debut better, according to Shacknews. The beta had terrible names for some of the places you go to, the name appears to be as if a player without grammar skills wrote it and the pictures and images that come with the beta were pictures that looked like it was taken from a low res camera phone. The game currently is only available in Australia, New Zealand and Japan. The release date in North America is currently unknown, according to digitaltimes. It is free app you can download on the android and iOS in Google Play and the App Store, so everyone will be able to download it and play. 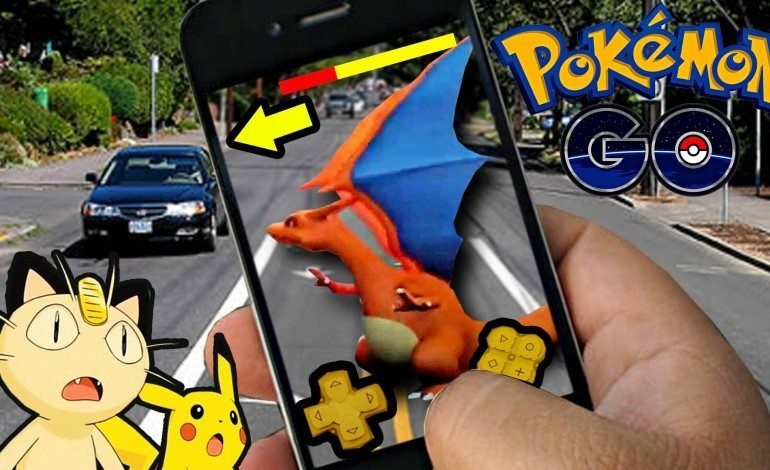 So explore the world and catch the Pokémon you did as a kid!